For years, Bickley, Prescott, Webb & Wells PC has been providing quality, personalized financial guidance to local individuals and businesses. Our expertise ranges from basic tax management and accounting services to more in-depth services such as audits, financial statements, and financial planning. Bickley, Prescott, Webb & Wells PC is one of the leading firms in and throughout the area. By combining our expertise, experience and the team mentality of our staff, we assure that every client receives the close analysis and attention they deserve. Our dedication to high standards, hiring of seasoned tax professionals, and work ethic is the reason our client base returns year after year. Bickley, Prescott, Webb & Wells PC is a proud supporter of Sam Houston State University. Our mission is to help clients maintain financial viability in the present, while taking a proactive approach to achieve future goals. This requires open communication to reach an understanding of our clients' needs through research and sound analysis. Bickley, Prescott, Webb & Wells PCis dedicated to meeting these goals with high standards of excellence and professionalism. We have been a staple of the area's business community for years, and pride ourselves on the level of esteem we have earned. Our dedication to hard work has earned the respect of the business and financial community in and around the area. We believe this to be a direct derivative of our talent and responsiveness to our client base. Whether you are a current or prospective client, rest assured that individuals and businesses who choose Bickley, Prescott, Webb & Wells PC receive competent and timely advice. Lloyd has been with the firm for 10 years. His public accounting experience includes tax compliance for individuals, partnerships, corporations, trusts, and non profit organizations. Lloyd has specialized knowledge that includes multi-state payroll tax returns. He is also experienced in compilation of financial statements as well as review and audit engagements for small businesses and non-profit organizations. 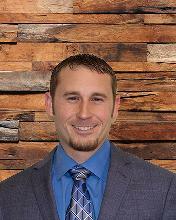 Lloyd is a Certified Public Accountant licensed by the Texas State Board of Public Accountancy. He graduated from Sam Houston State University in 2008 with a Bachelor of Business Administration in Accounting and again in 2012 with a Master of Science in Accounting. Lloyd is a member of the Texas Society of CPAs, including membership in the Houston Chapter of Texas Society of CPAs. 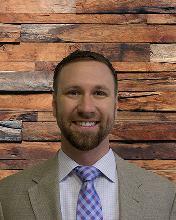 Jared is experienced in many areas of public accounting with specialized knowledge in individual, partnership, and corporate tax. He is experienced in audit work of non profit organizations and also has knowledge in tax planning, tax research, financial statement compilation, and payroll services with all types of entities. Jared is a Walker County native. He graduated from Sam Houston State University in 2008 with a Bachelor of Business Administration in Accounting and again in 2012 with a Master of Science degree in Accounting. 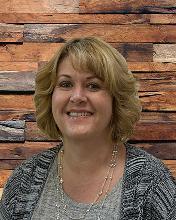 Diane has experience in all types of federal income tax and payroll tax returns. She is also knowledgeable in areas such as franchise tax and sales tax for the state of Texas. Diane is also QuickBooks ProAdvisor. She has 10 years of QuickBooks experience and has been a ProAdvisor for the past 3 years. 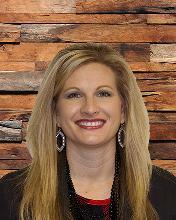 Macey has 12 years of accounting background. She has experience in federal income tax returns and payroll tax returns. Graduated from Sam Houston State University in 2004 with a Bachelor of Business Administration in General Business. Macey is an active member of Northside Baptist church in Huntsville.